Hello everyone! I'm excited to be a new Poppytalk contributor. Each week, I'll be popping in with special things I find in my actual and virtual travels. I've been a long-time fan of Scottish designer Donna Wilson and when I received news of her recent collaboration with london based chocolatier Rococo, I was smitten. What's not to love? Sadly I've never experienced Rococo (London friends, please send chocolate! ), but they look amazing and it always warms my heart to see people making a living doing what they love. 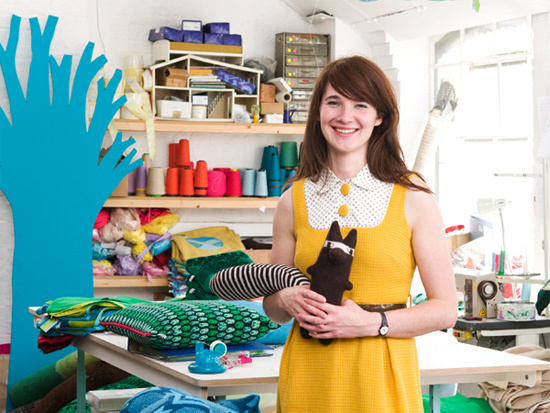 About Donna Wilson: Donna Wilson set up her company in 2003 after making odd knitted creatures for her final show at the Royal College of art. The creatures sold out and since then she has built her business designing and making a collection of curious cushions, luxurious lambswool blankets, and variety of products for you and your home. Rococo from Classique on Vimeo. About Rococo: In 1983, Chantal Coady dared to follow her dream: to share with others her love for chocolate. Nearly three decades, three shops, and many, many delicious chocolates later, she has certainly shared her dream with thousands of customers from around the world –all the while supporting ethical trade for cocoa farmers. Images and about copy from Rococo and Donna Wilson. Wow, I love this! That video of the chocolate shop just makes me want to go there, right now! :-) Thanks for sharing. The chocolate looks so delicious and her little figures are nice, too. The perfect cutest thing for Easter! Those chocolates are too cute! Want. 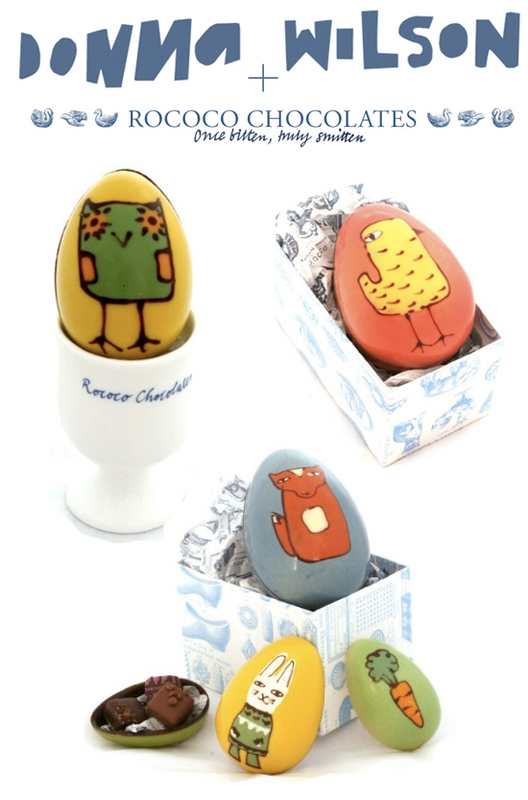 Those Easter eggs are to die for! And I'm sure the chocolate inside is too. I just love hearing Chantal Coady say "chocolate shop" with her beautiful accent!